From my hometown of Buffalo, New York, InAdaze are the trio of Chris Barber on guitar and vocals, Pete Fernbach on bass and vocals and Terry Ameno on drums. The band play a cool grooving style of rock that draws on various influences, from hard rock, to funk and jazz and Grateful Dead styled psychedelia. But ultimately the band carve out a sound of their own by blending influences from both 70's rock and more modern styles, and crafting their songs with intricately played instrumentation and arrangements. Among the standout songs is "Power Freedom Passion", which showcases the quirky, funky and somewhat grungy side of InAdaze's style. Barber really let's rip on guitar, making this one smokin' number. I dig the banjo embellishments too. "If…" alternates between heavy wall of guitar assault rock and quiet but intense rumbling tension building segments. On "Witch" we get seriously FUNKY… thanks in large part to Fernbach's bass. Eric Crittenden guests on saxophone, adding a cool jazzy groove to the song. This is a tight band that play well together. "Shine" is a cool grooving Reggae inspired tune, but also with a Grateful Dead vibe. In fact, the spirit of the Dead pervades throughout the album, though InAdaze can by NO means be lumped into the tired jam rock category that nearly all Dead influenced bands are these days. For one thing, most of the songs are in the 3-5 minute range, making InAdaze ultimately about the songs. But they excel at injecting plenty of thoughtful instrumentals into the space of the "song". "Three" is one of the more overtly Grateful Dead styled tunes, though its really very much their own sound and is one of the best examples on the album of how InAdaze can crank out solid rocking songs with a great groove, but also with a tasty complexity in the interplay between the musicians. The last two tracks were a pleasant surprise, demonstrating that InAdaze can take off into space when they want to. "At the Time" is a laid back acoustic guitar driven tune, but with spaced out electric guitar and efx that add some cool cosmic color to the song. But "Christmas Day" is a bit different from the rest of the album, combining the rocking grooves that have become the trademark sound of the album with an interstellar guitar sound that recalls the likes of Spiritualized. Very interesting. And at just over 9 minutes this is the one example on the album of InAdaze really stretching out. The band never abandon the song format for long for pure jamming. But nevertheless there's plenty of scrumptious instrumental workouts and the spacey explorations make for a killer end to this fine album. Overall an impressive band who don't sound like a zillion others and excel at making complexity accessible to all. 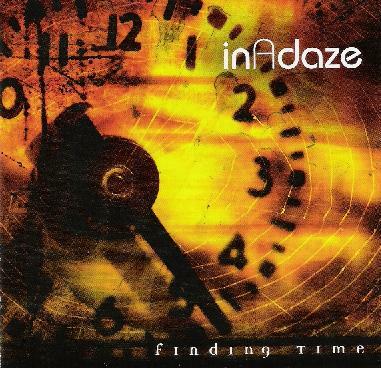 For more information you can visit the InAdaze web site at: http://www.inadazemusic.com.